A new look, a new name and a new direction was announced by Ontario’s provincial soccer body today. Ontario Soccer is the new name and brand for the organization, replacing Ontario Soccer Association, and it’s meant to signal a fresh start for the game of soccer in Ontario. As well, a new simple and modern logo was unveiled to the over 380,000 players, 70,000 coaches, 10,000 match officials and 25,000 administrators. Combining modern and sleek design elements, with a nod to the organization’s long-standing heritage, the primary logo is the new face of Ontario Soccer. 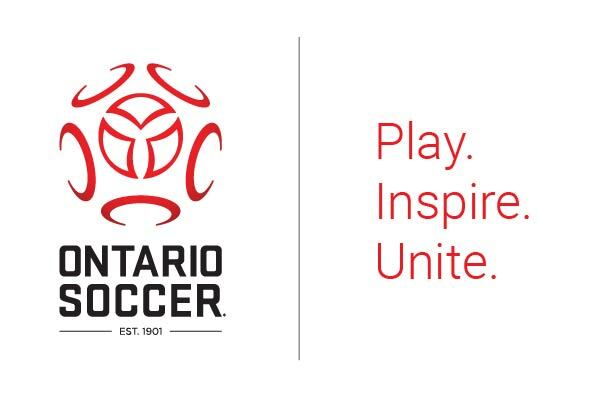 The five outer rings create a contemporary soccer ball shape, representing Ontario Soccer’s five most important stakeholder groups: Players, Coaches, Match Officials, Volunteers and Administrators. The inner three shapes, celebrating the mantra of Play, Inspire and Unite, create an Ontario trillium at the very centre of the mark. Play is about making the beautiful game accessible, fun and meaningful for all who try it. As thought leaders and experts in the progression of soccer development, Ontario Soccer also aims to Inspire Ontario’s best who aspire for more. All in all, the game of soccer is the common thread that links and Unite us as one. The new Ontario Soccer brand was a collaborative effort between the Ontario Soccer Board of Directors, Staff and the Brandfire agency, which has worked with some of Canada’s most trusted brands over the years. Ontario Soccer will now become the brand of record for the development of soccer in Ontario, which covers all aspects of the sport including: players, coaches, match officials and administrators. Beginning today, the organization’s website, which can be found at OntarioSoccer.net, has been re-launched by SportsEngine, the Ontario Soccer official technology partner, and features a fresh new look that reflects the more modern approach. The Ontario Soccer Centre has also received a face-lift and will continue to undergo changes in the weeks ahead.